After regrouping for a bit I decided to brave the wetter weather and head west. Soon I made it to a "beach" and sea wall. Amongst other things I found this sculpture that rose out of the sand either like a shipwreck or the bones of a beached whale. 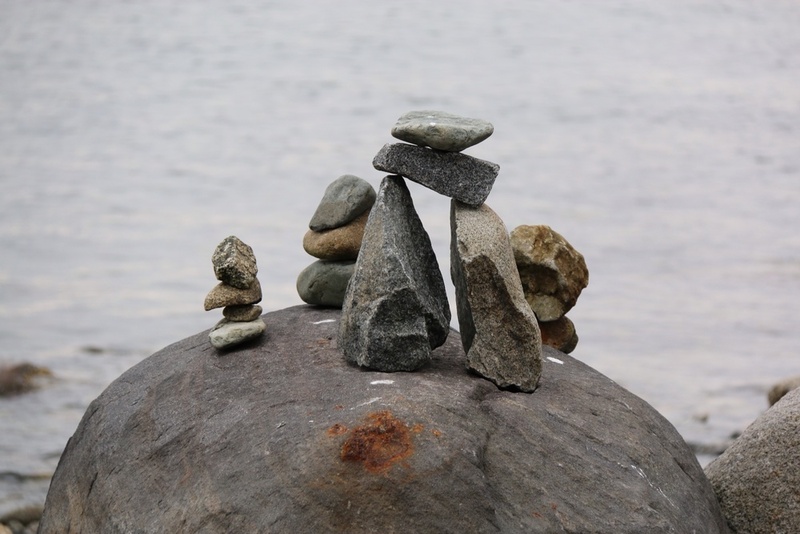 And near a formal stone structure to recognise the traditional artifacts of the Inuit people I found a small stretch of beach where it appears that modern day people have made their own structures. This was just one.